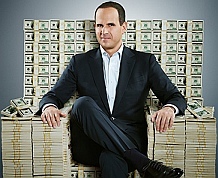 Home The Show The Profit With Marcus Lemonis. The profit is a new show that airs on CNBC Prime about struggling businesses finding a “savior” in the person of multi-millionaire Marcus Lemonis. So welcome to the fan blog of this exciting show. You can find out more about the show on its official CNBC Prime page or its’ facebook page. Join us in cheering on Marcus as he rescues businesses in this roller coaster fun ride of a show. Here is an interview with Marcus about his show, The Profit on CNBC. UPDATE: A second season of the profit has been approved by CNBC. Don’t forget to post comments and join the discussion about the show and what you think of it. Thanks for passing by and enjoy your stay.